A couple of years ago, I interviewed and trained a new massage therapist to work with our office and after the training she kept looking puzzled. I asked her what was wrong and she confessed that she could not understand why anyone would choose to come in with someone else to get a massage in the same room with two therapists. After sitting there with my mouth hanging open a few seconds, I realized that she honestly was clueless, even though she had applied to assist us with couple massages…. The most common reason clients come in for a couple massage is because one or both clients have never had a massage before. Many clients are even surprising their spouse, boyfriend, parent, or friend with a couple massage. They will lead the person to our office and the other person has no idea until they arrive why they are there. A huge percentage of the population still has not experienced massage therapy and doing a couple massage is a great way for clients to experience their first massage – together. The second most common reason clients choose a couple massage is to celebrate a birthday, a new job, graduation from college, an anniversary, etc. We are the obvious choice for this since our setup is much more festive than most other places. Our massage therapy room is meticulously decorated and we serve water in wine glasses or champagne flutes along with premium chocolates. Add to that incredible aromatherapy and a serene ambiance and you have a recipe for a wonderful time together. 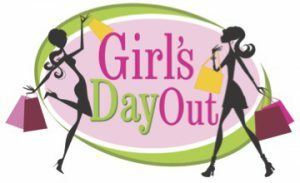 We get a lot of mothers/daughters and ladies who are spending the day with a girl friend who come in together for a massage. Couple massage for our office simply means two people who want to have a massage together, in the same room with two therapists so this is a great idea. Getting a massage is a great addition to spending time together, going shopping, eating lunch, or simply hanging out. Many couples decide to make getting a couples massage the first part of their date night. It is nice to have a massage prior to going out to dinner or as part of spending a day together. Our office is located in the heart of Beachwood so we have had many couples come to us then they go shopping at Beachwood Mall or Legacy Village then go out to eat at one of the area restaurants. See our blog post on Date Night here. Getting a couples massage can help you reconnect as a couple. In addition, couples who experience something new together tend to bond more closely with each other. Massage also naturally increases feelings of affection and helps you both relax so you are more open to deeper intimacy later on. Lastly, getting massage together is definitely a big check on the SPENDING QUALITY TIME TOGETHER list. So book your session today and reap the wonderful rewards! To book your session simply call or text Donna at 216-640-6851. With our sessions, you will find that you feel good AFTER you get off the table – not just while you are being worked on. This is the one thing that sets us apart. Clients regularly report feeling BRAND NEW. That is the mark of a great massage!